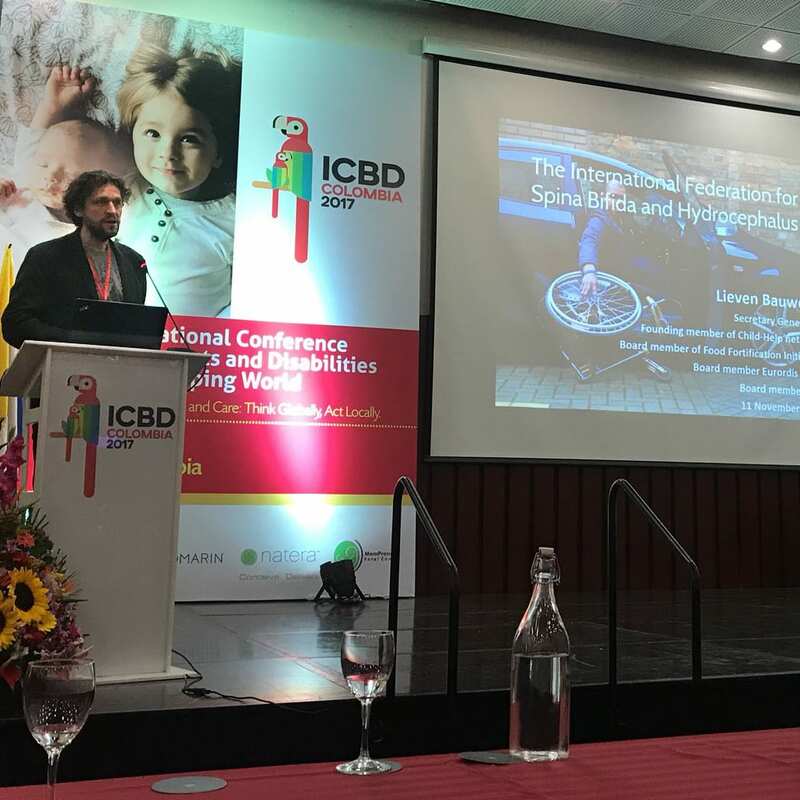 11 November 2017 // The 8th International Conference on Birth Defects and Disabilities in the Developing World took place in Bogotá, Colombia, from November 8 – 11. The theme of the conference was “Birth Defects Prevention and Care: Think Globally, Act Locally”. Topics discussed included ethics and economics, surveillance, Spina Bifida and Anencephaly prevention, the folate status in women of childbearing age, preconception health, the care of children with disabilities, and much more. IF was honoured to be invited to contribute speakers. On the final day, a plenary session was dedicated to the “Role of the Civil Society, Including Parent-Patient Organizations”. Both IF Secretary General Lieven Bauwens and IF Board Member Elena Zappoli presented during this session. Lieven talked about the importance of “Supporting civil society organizations in low and middle income countries for improving birth defects prevention and care”, and Elena explained about the role of our Argentinian member APEBI in “Building networks in Latin America for improving prevention and care of people affected with spina bifida”. One of the speakers emphasized that parents are partners in care for children born with a disability, and they should be supported in this enormous task that they face. It is essential to remember to involve parents and people living with congenital conditions in policy and decision-making: Nothing about us, without us!